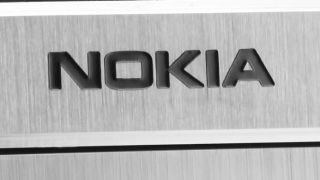 Nokia's CEO reckons the future is a tiny bit brighter for the Finnish firm thanks to improved smartphone sales. "[Since Nokia joined Windows Phone] we've seen three times faster growth in available. Nokia has also focused a lot of energy into more locally developed apps, as around the world people enjoy a local experience." However, it's clear that while Nokia is bullish about its Windows Phone strategy, the short term upturn in fortunes is still built on a non-smartphone area. He claimed that the mobile phones business was stabilised on the last quarter, made up partly of improved Lumia sales of several million – but more importantly the burgeoning Asha feature-phone range in emerging nations. Whether the Asha line-up can sustain the company until it begins to turn a significant profit from its smarpthone range remains to be seen – but at least the 'burning platform' is seemingly less fierce than before.